last chance to shop the shopbop spring sale! Today’s the last day to score big at Shopbop’s Spring Sale! Here’s another little roundup of new finds you just can’t miss. 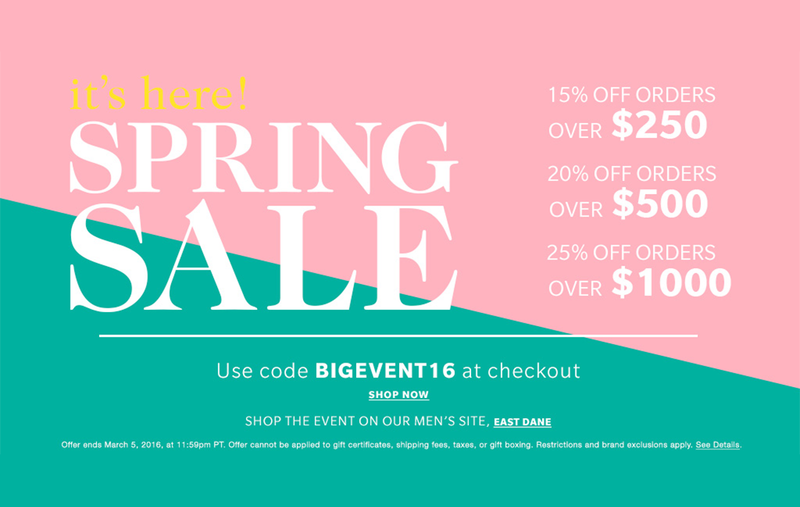 Don’t forget to enter promo code BIGEVENT16 at checkout! If you love stripes as much as I do, this Parisian-chic top is slightly off the shoulder and so effortless. This palm-print case needs to jump on my iPhone STAT! I’d love to get my hands on this black asymmetrical hem top – such a modern, sleek staple, don’t you think? Flat platform espadrilles are very on trend this season, but you won’t see me spending $700 on such a trend… I will however shell out $90 for this classic pair! ODLR has come out with a couple cute new colors in their beaded tassel earrings – I’m loving this pale pink and this lilac shade. So sweet! Pick up a pair of my fave PJ’s in a fab new print! Super comfy. Look luxe on the beach in this embellished Camilla caftan – such a gorgeous color scheme! A fan of fruit? You’ll obsess over this watermelon straw clutch or this pineapple-adorned piece. Adorable!! I love that bikini top and iPhone case!! I love all of your picks!! Especially that striped off-the-shoulder top! Loving all these off the shoulder looks. Definitely a trend I want to infuse into my wardrobe once the weather warms up!